There’s always something new to do in Toronto. 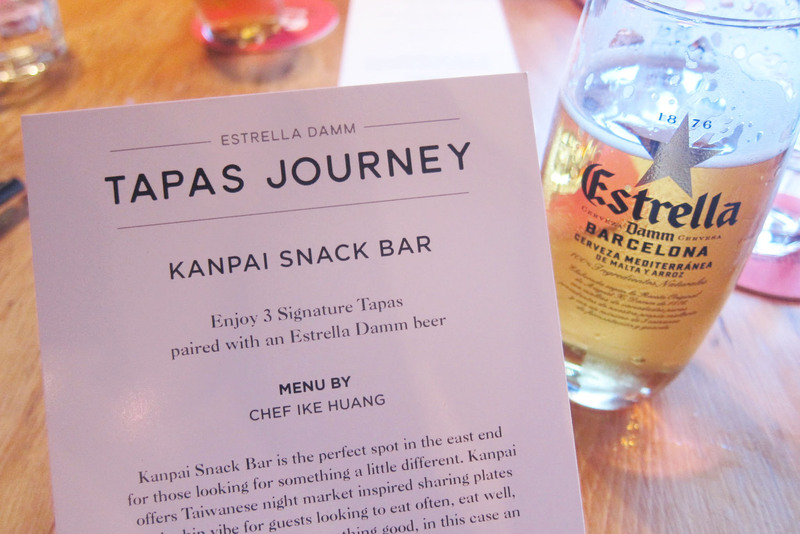 And for only 10 days, Estrella Damm has brought the Tapas Journey to Toronto! 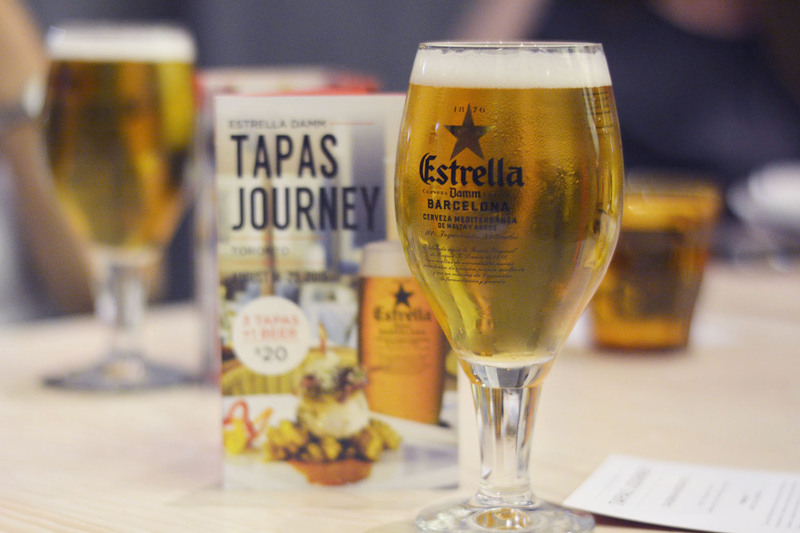 Estrella Damm has created a valuable addition, introducing 20 participating restaurants as part of the journey. 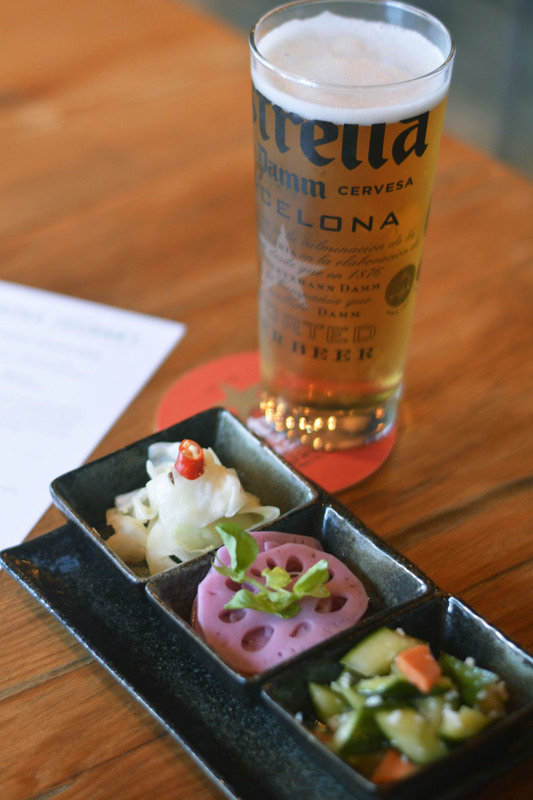 It is only throughout August 14th to 23rd that diners will experience a trio of selected tapas paired with a glass of classic Estrella Damm, all for twenty bucks. Stemming from the beautiful Spain, Barcelona, tapas are simply a celebration of food. A spread of tapas are to be paired with drinks and shared with friends and family. 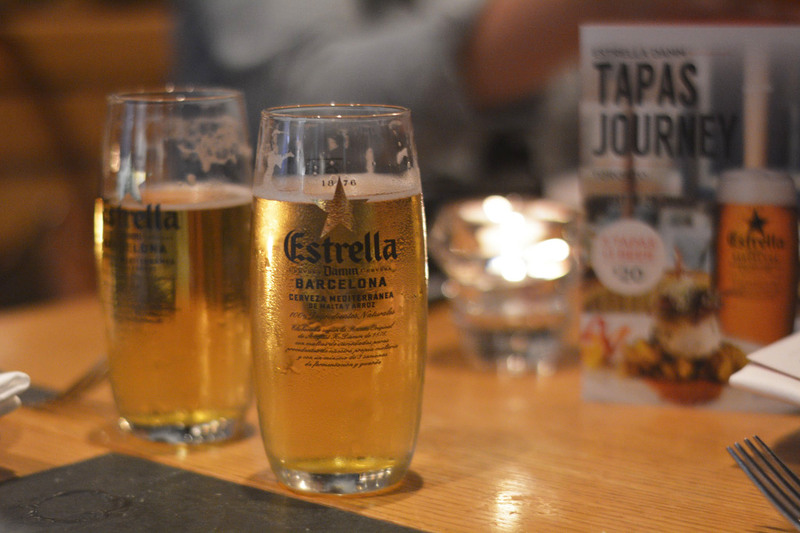 Among these paired drinks, is the Estrella Damm, "The Beer of Barcelona". Estrella Damm is a Pilsner Lager brewed with a 100% natural original recipe, since 1876. In contrast to the looks of it's heavy body, this beer is actually on the dryer end, holding sweeter flavours of malt, along with a crisp and satisfying finish. I can see exactly how this will pair with the tapas to come for the evening. 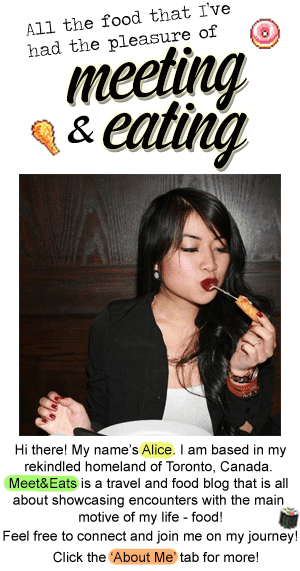 Participating Toronto restaurants include: Barsa Taberna, Beast, Byblos, Carmen, Cava, East Thirty-Six, El Catrin Destileria, Kanpai, Los Colibris, Mamakas Taverna, Marben, Mata Petisco Bar, Nota Bene, Patria, Raca, Salt, Taverna Mercatto, The Goodson, Valdez and Weslodge. 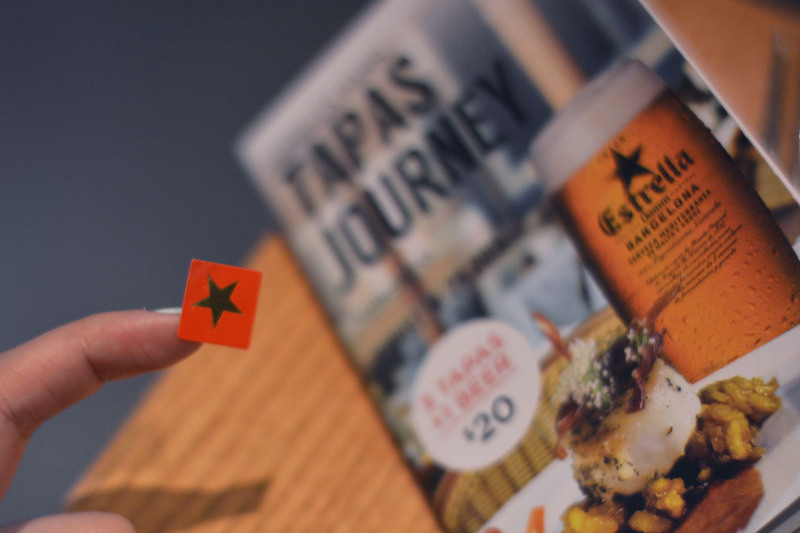 Get your passport stamped: Visit 1 or more of the Tapas Journey restaurants and receive a golden sticker on your passport, marking off each restaurant. Share a picture your passport on Twitter or Instagram with the hashtag #TapasJourney, you will be entered to win a trip for two to Miami to attend the Estrella Damm Congress and see their renown gastronomic ambassador, Ferran Adria. We celebrated tapas the right way tonight. I had the pleasure of experiencing "tapas" starting with the traditional Spanish tapas as we know it at Cava Restaurant, to a wonderful spread of Taiwanese tapas at Kanpai, and lastly to a refreshing Italian at Taverna Mercatto. Photo credit to Jeffrey Chan courtesy of Estrella Damm. 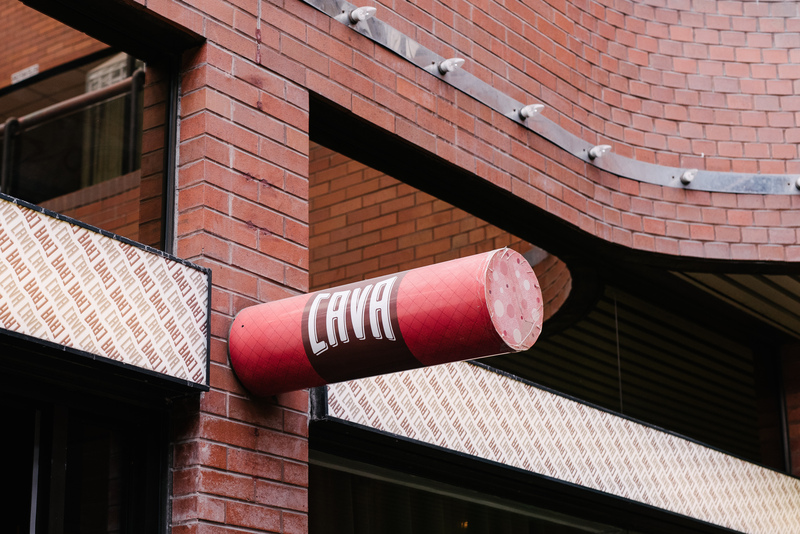 Cava Restaurant was a wonderful spot to start our Tapas Journey. As the initial fore bearer of Toronto's current Spanish culinary trend, Chef Doug Penfold stays true to his "nose-to-tail" devotion and in creating modern flavours of Iberian and Latin American. 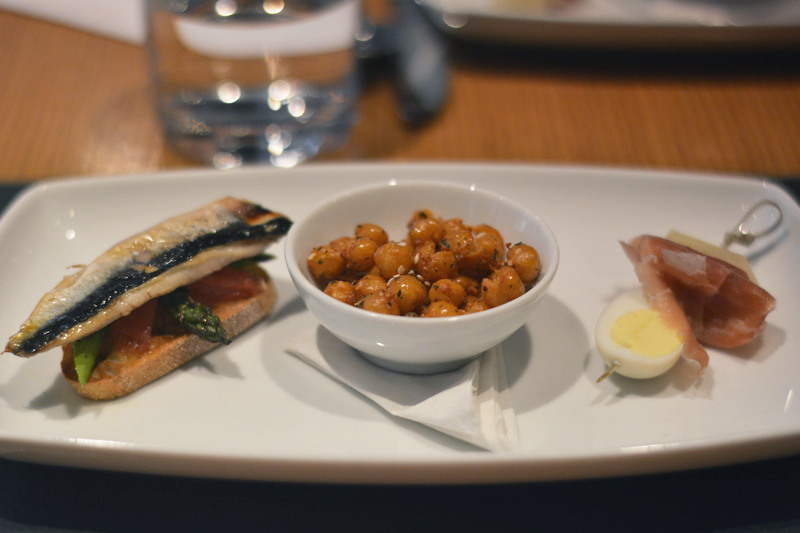 In this Tapas Journey menu, he assembles a platter of Fried Chickpeas, Smoked Mackerel and Banderilla skewer. The chickpeas were immediately soft to bite, with a crispy of zatar on the outer layer. 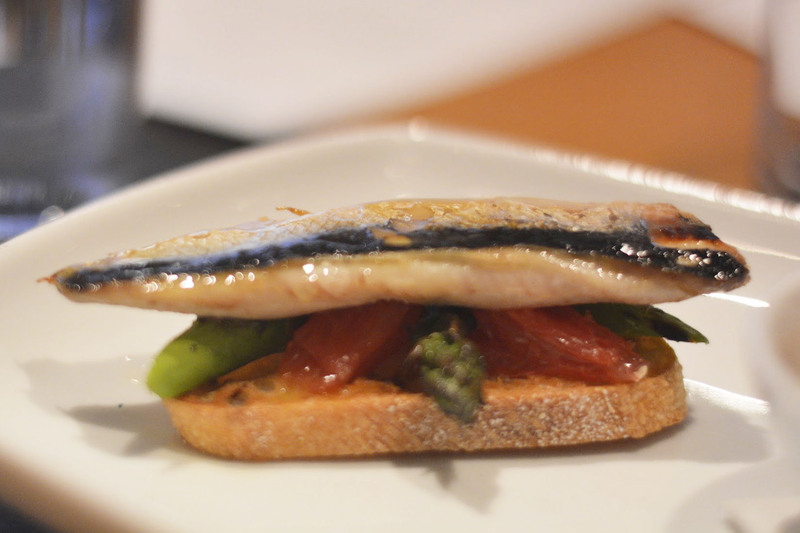 Cava Restaurant clearly does specialize in Pincho on toasts, the smoked mackerel was remarkably done with a lovely balance of grapefruit pieces and grilled asparagus. Each dish was a refreshing start to the journey, along with the first cheer and gulp of the pale ale lager. 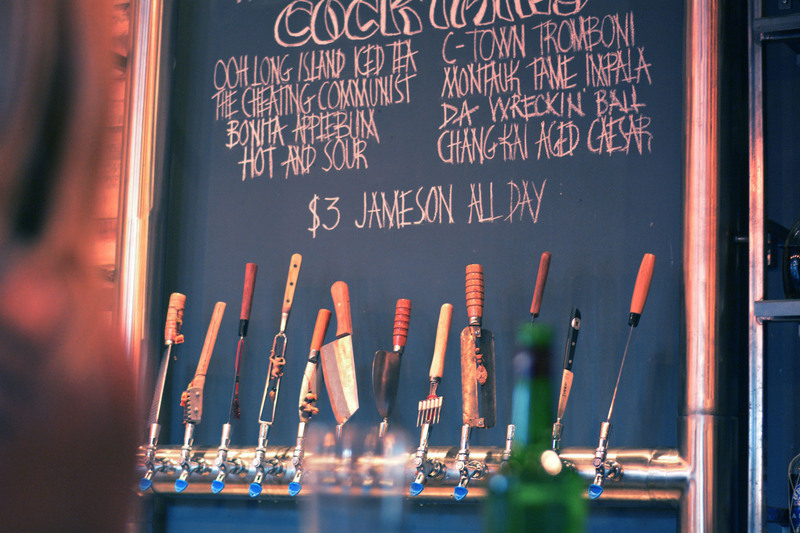 Kanpai Snack Bar, known for their hip family-style spreads and a variety of pleasing locally-sourced beers, sakes, and cocktails on tap. They have captured the perfect ambiance, filled with fried aromas, chatter and the a beautiful imagery stretched across the back wall of the common sight at a Taiwanese night market. 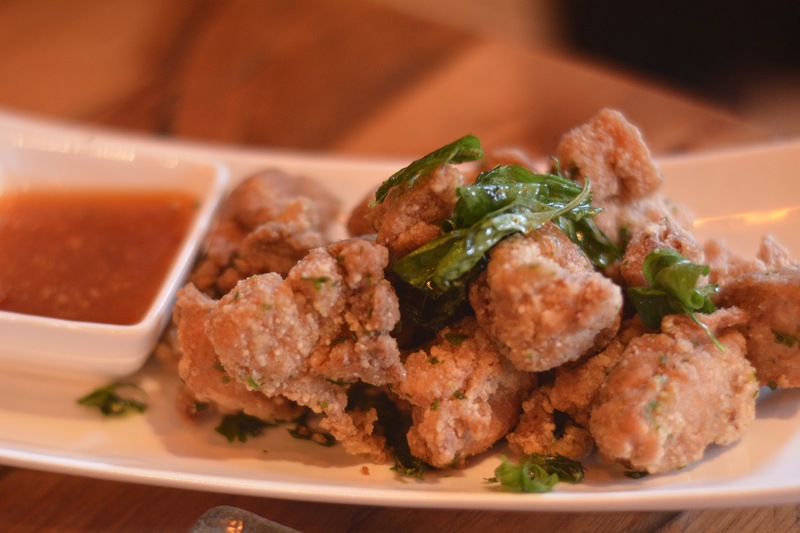 We were presented with three generous dishes, the first is their "can't touch this" MC Hammer Popcorn Chicken, addictive, juicy and tender all in one. 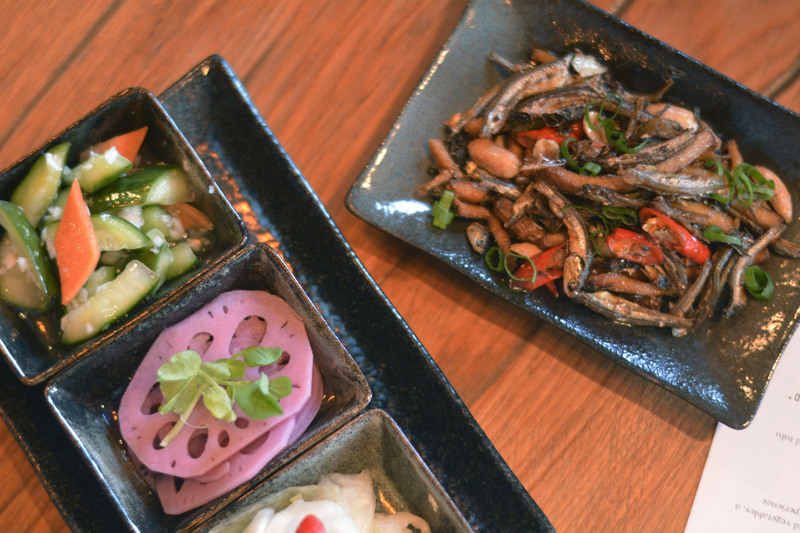 Next was a brilliant trio of Taiwanese house-cured and pickled vegetables, smashed Cucumber, Lotus and Cabbage, each one served as a well-fit palate cleanser for the dish to follow, the Funny Fish! 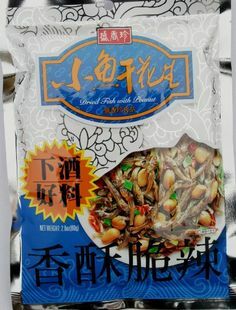 This one was a grand mixture of a Taiwanese bar snack, or, what I grew up with. It was absolutely excellent, find a spicy balance of Fried Mini Fish and Tofu with scatters of Peanuts and Chilis. 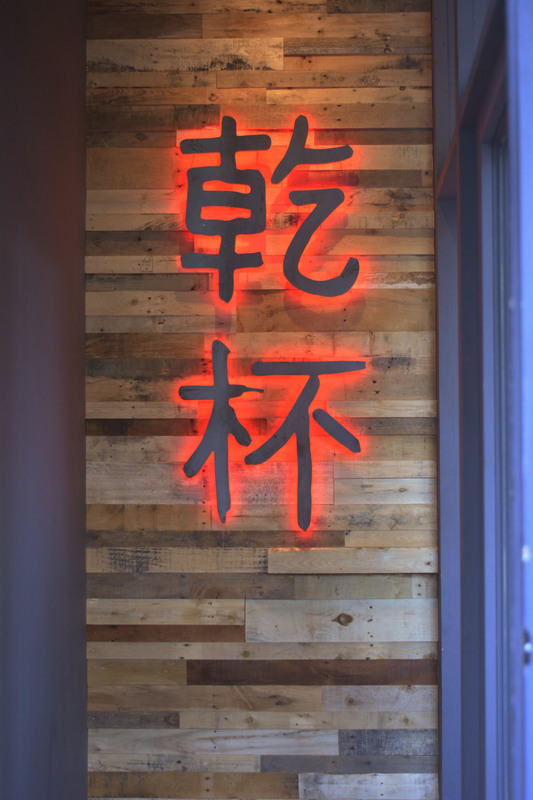 Kanpai have certainly followed their motto with this Tapas Journey spread: "Eat often, eat well and wash it down with something good". 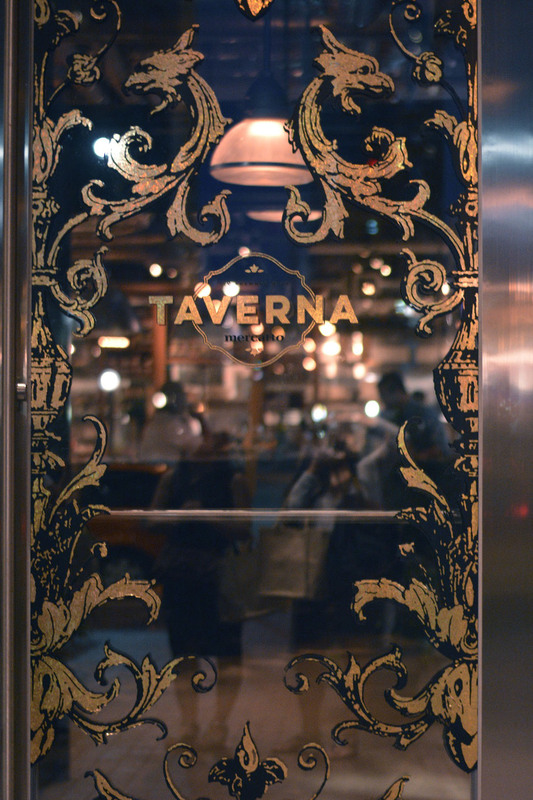 Taverna Mercatto, the latest addition of their five downtown locations in Toronto. Their place in the SouthCore Financial neighbourhood gives an undeniable welcoming energy. Popular for their beautifully assembled Italian classics, Taverna Mercatto highlights seasonal products in their part of the Tapas Journey. As it was the end of the night, there would be no better fit than Taverna Mercatto's patio space and to take a final cheers along with cuts into the fresh and vibrant menu. 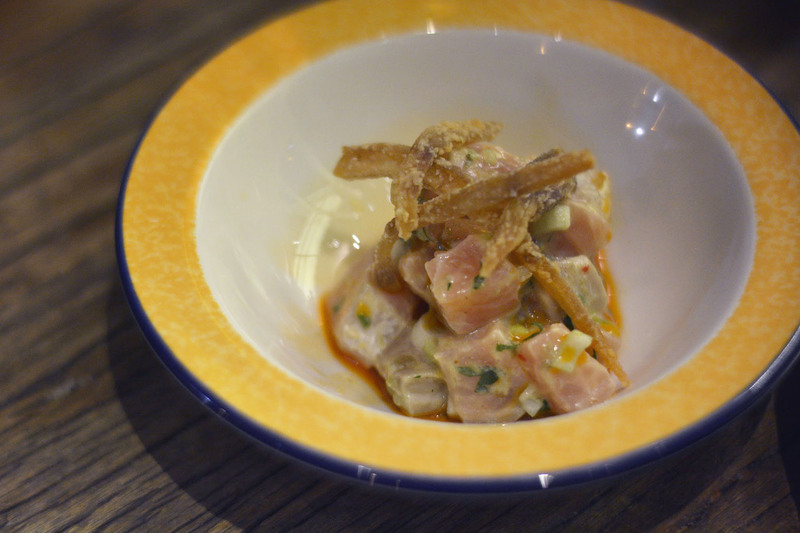 The Wild Salmon Tartare was light in citrus, enough to leave a buttery finish and extra crisp of the Fried Pig Ears. 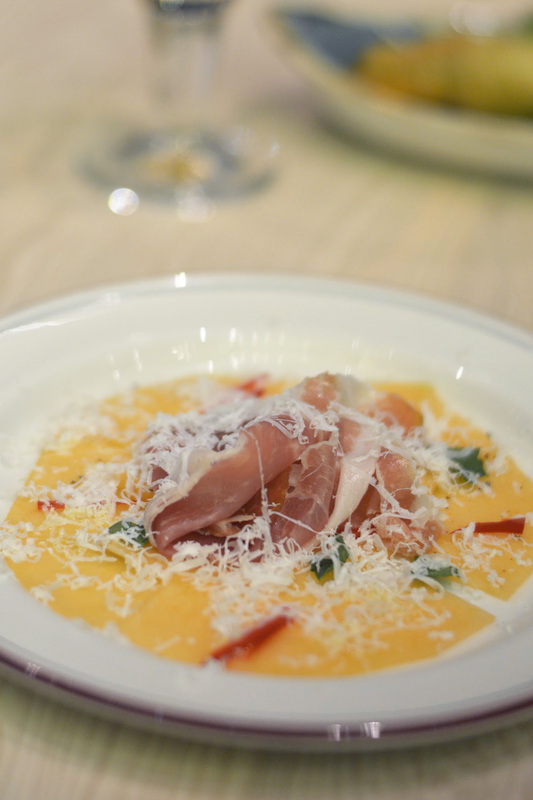 Truly making the most of seasonal produce, Taverna Mercatto has formed a thinly sliced Ontario Musk Melon into a Carpaccio, and topped with the finest cured Pepperoncini and Wild Boar Prosciutto to sliver. 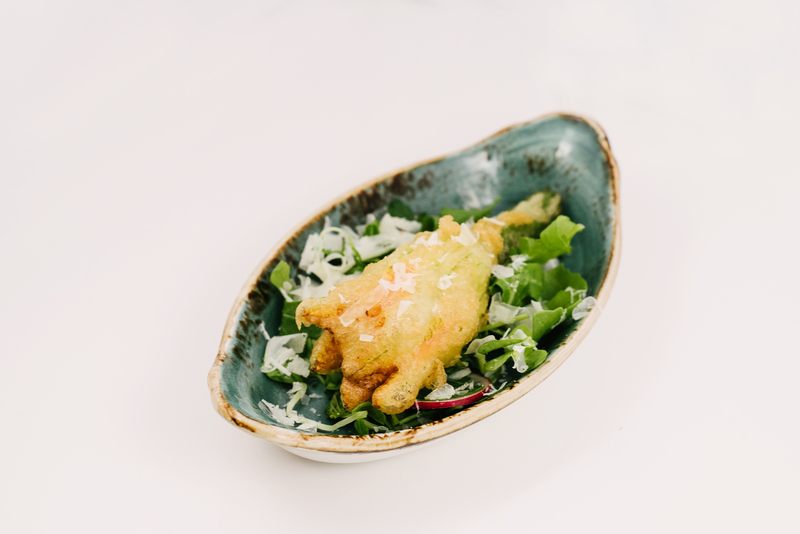 Each a great pair to the same light and smooth Estrella Damm, the Tempura-fried Zucchini Blossom stuffed with Ricotta was a wonderful cut in the crisp batter. Cava Restaurant, Kanpai and Taverna Mercatto each did a fantastic job at bringing their best dishes forward to pair with a cold Estrella Damm to myself and my fellow travellers. 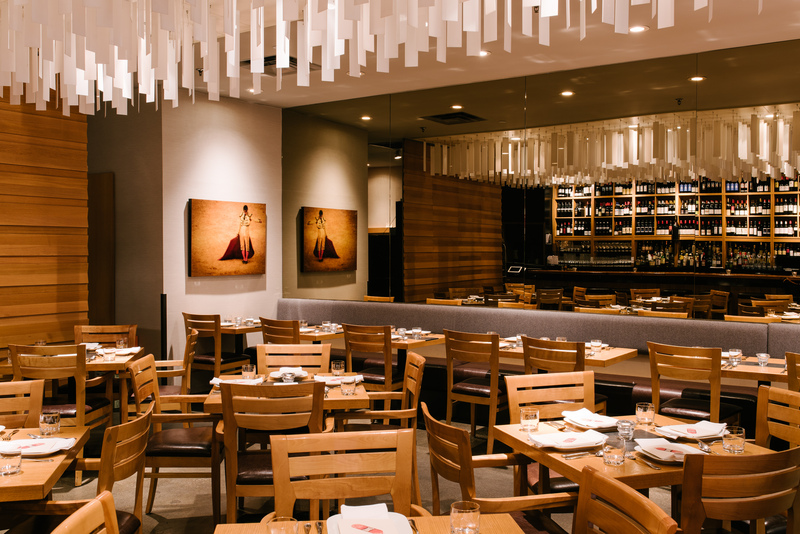 Enjoy this feast and divulge yourselves into the Toronto tapas culinary scene, while it lasts. 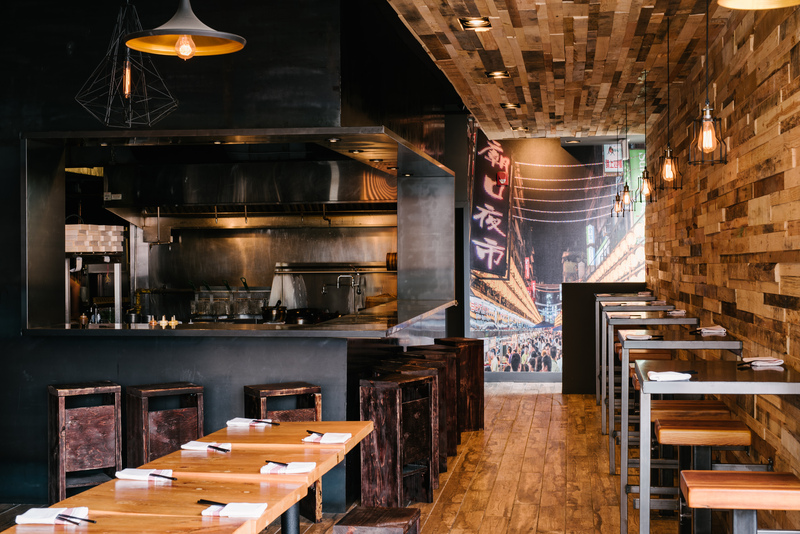 For only 10 days, 20 restaurants are setting up three of their signature tapas and pairing it with one Estrella Damm beer for $20. Thanks to Estrella Damm for letting me experience the true Tapas Journey for myself, an amazing opportunity to rally up friends, delicious food and sip a glass of well-[aired Estrella Damm. 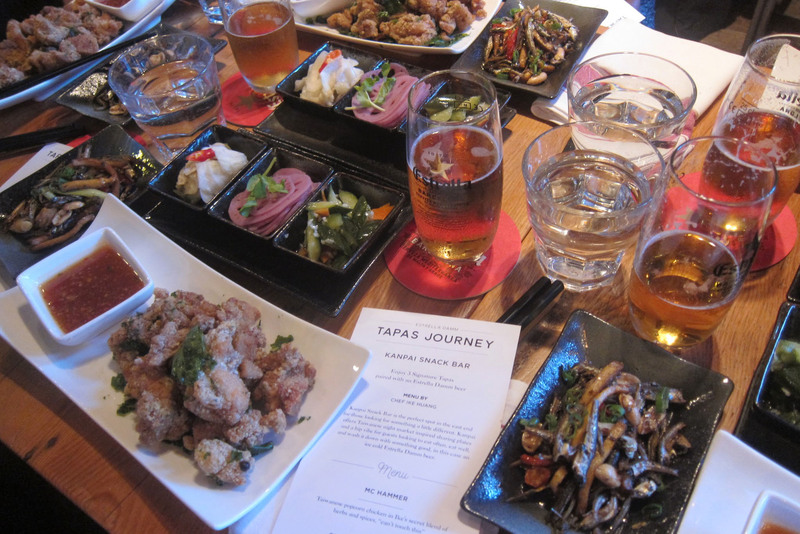 But, that's just my experience, see what it’s all about: #TapasJourney.